Researchers at the U.S. Department of Energy’s (DOE's) Argonne National Laboratory have mapped out two very different types of protein. One helps soil bacteria digest carbon compounds; the other protects cells from the effects of harmful molecules. 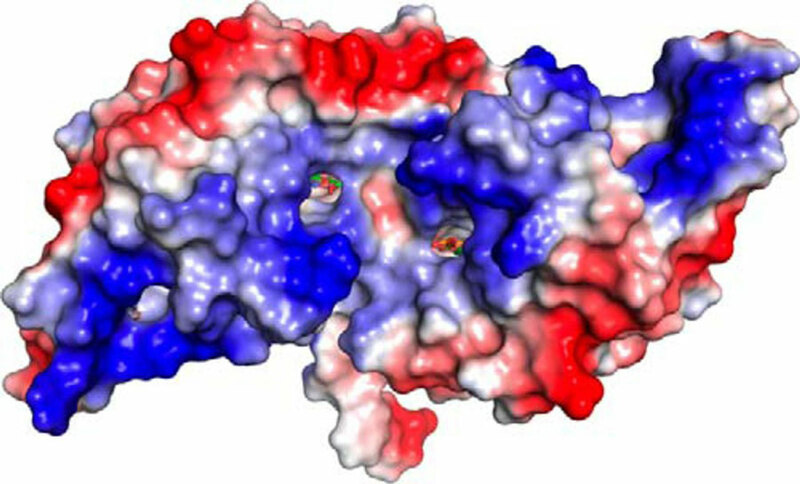 The paper was published earlier this year by the Journal of Biological Chemistry under the title “How Aromatic Compounds Block DNA Binding of HcaR Catabolite Regulator.” It was supported by the National Institutes of Health and the U.S. Department of Energy (Office of Biological and Environmental Research). The paper was published on the Nature Chemical Biology website on June 20 under the title “A family of metal-dependent phosphatases implicated in metabolite damage-control.” Other authors on the paper were from the University of Florida, the University of Toronto, the University of California-Davis and Brookhaven National Laboratory. It was supported by the National Science Foundation, Genome Canada, the Ontario Genomics Institution, the Ontario Research Fund, the Natural Sciences and Engineering Research Council of Canada, the National Institutes of Health, the C.V. Griffin Sr. Foundation and the U.S. Department of Energy (Office of Basic Energy Sciences and Office of Biological and Environmental Research).